Isabelle Forrester is the wife of a prominent Parisian banker who has long since shut her out of his heart. For years, Isabelle has lived a life of isolation, caring for her desperately ill son and her teenage daughter. She allows herself one secret pleasure: a long-distance friendship with a Washington power broker who, like Isabelle, is trapped in an empty marriage. To Bill Robinson, Isabelle is a godsend, a kindred spirit who touches him across the miles. Their relationship is a lifeline that sustains them both through the heartache of marriages they will not betray. Agreeing to meet for a few innocent days in London, Isabelle and Bill find their friendship changing. Then, amid the sudden crash of steel, they are thrust onto a new path fraught with pain but also with possibility. Now, inside a London hospital, Isabelle and Bill cling to life. In the weeks that follow, they traverse a road to recovery littered with challenges of the body, spirit, and heart. Together, they must find the strength to embrace life again. But changing relationships and another loss conspire to separate them once more. And this time they could lose each other forever. 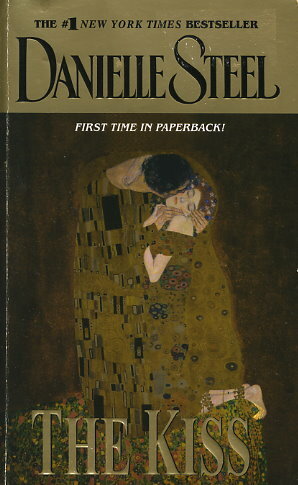 In a novel that is as compelling as it is compassionate, Danielle Steel weaves a story of courage in the face of unimaginable loss, exploring the strength it takes to conquer our greatest fears, showing us how the toughest choices can yield the most unexpected rewards...and how the longest journeys can begin with a single kiss.